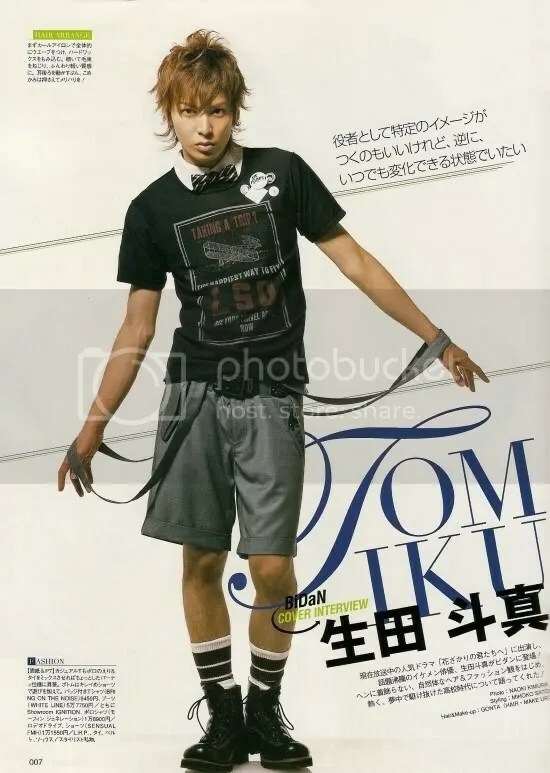 i love you toma ikuta! thanks for scanning this magazine..
wahhh c vraiment un trop bo goss!!! �OKKKKKKKKK TATLIIIIIIIII TOMA IKUTA……….SEN BEN�M TEK A�KIMSIN. hes popular ne. lurve his acting in hana kimi. 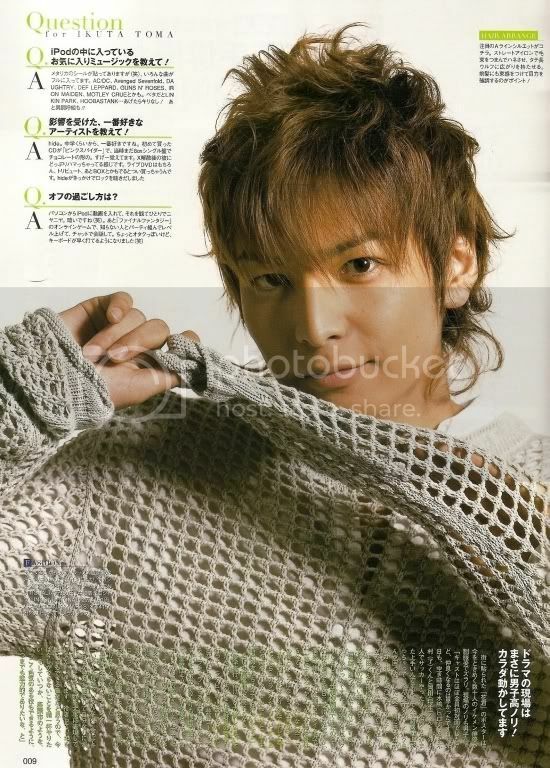 btw, y toma has not yet debut in je? 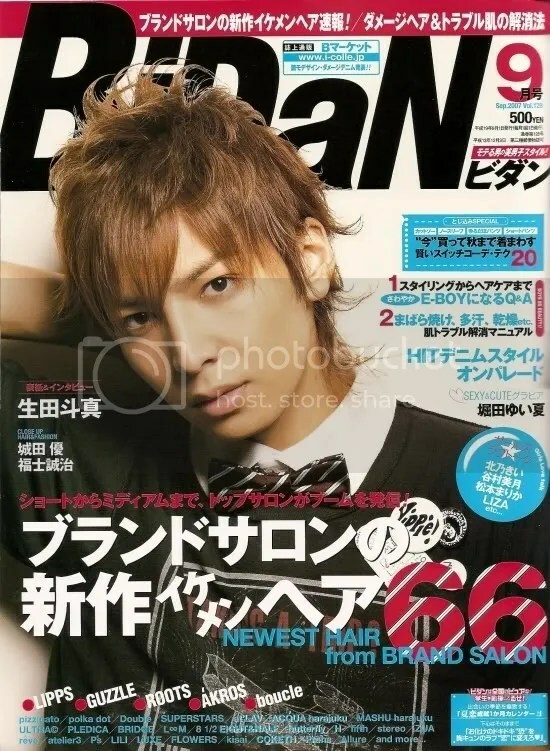 I love you, toma… you’re so great… your my ideal man..
you are the most wonderful japanese actor! i love hana kimi so much! cute boy i think he is…hurm..looks very natural in acting..
ikuta toma is one of my crushes in JE.i ssssssssooooooooooo like the way he acts! and for me,he is so cccuuuttteeeeeeee!i feel bad tha he is not a part of ARASHI anynore.it was bad that i nevr got to hear his voice. anyway, more blessings 4 u, ikuta! gogogo !tohma ikuta !you are the nice actor!